The Taylormade SLDR S Rescue features a stainless steel head with new cut-through Speed Pocket design that flexes with more efficiency and allows for a forward, low center of gravity, resulting in lower spin and increased ball speeds across the entire face. The Satin silver crown with black button-back promotes easy alignment as well. 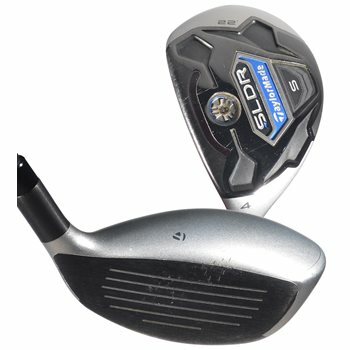 I'm interested in the TaylorMade SLDR S 5H (25 degree) rescue. The picture displayed is for the 3H 19 degree. Please confirm that the 5H as listed is available. Thanks. Please refer to the product details for the actual club that is available. The picture is simply a stock photo.